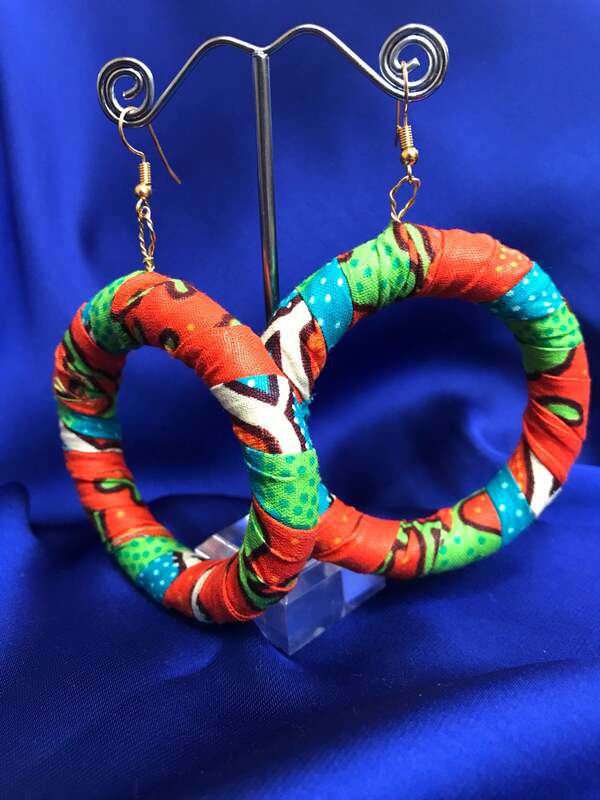 African Fabric Hoops made with wood, African Wax Print and gold plated or silver plated wires. 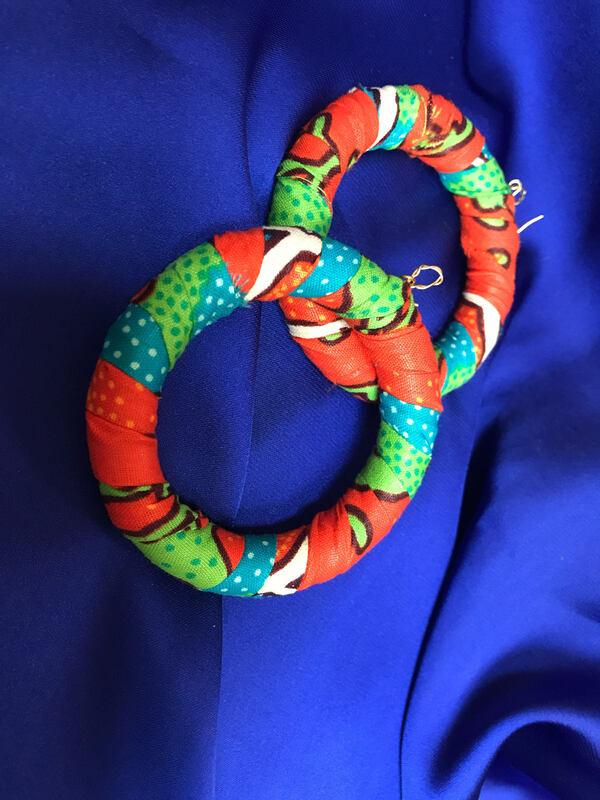 Off cuts from our clothing collection is put to good use in these amazing African Print Hoops. 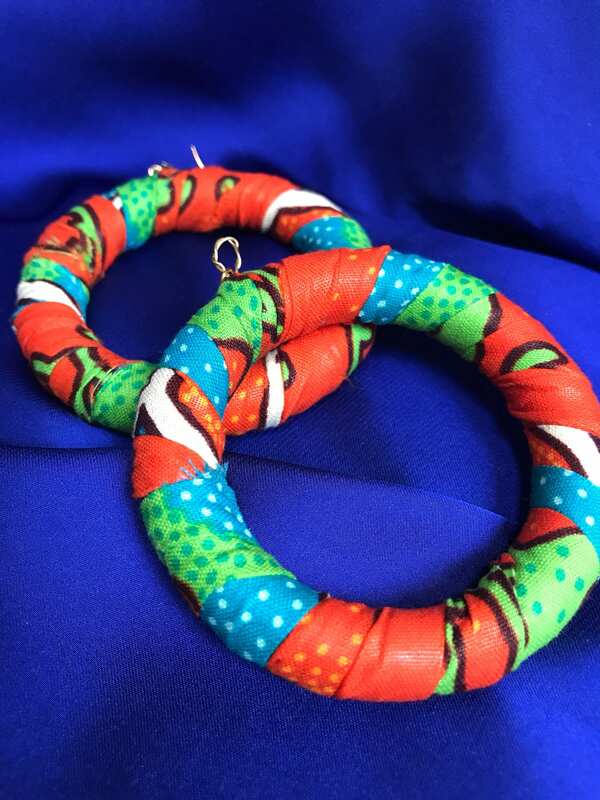 Colourful African accessories add a simple flash of colour to your style. 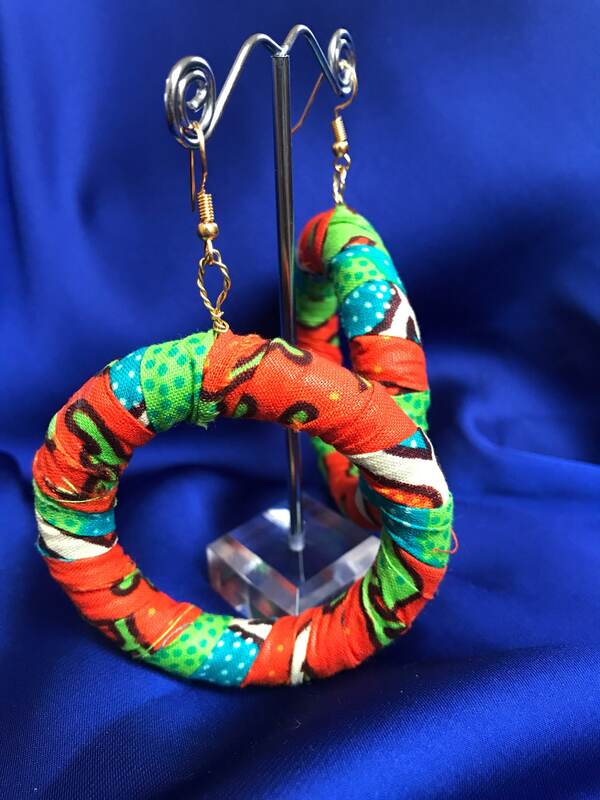 An all black outfit comes alive or your colourful African outfit gains even more with our wickedly vibrant earrings. All our jewellery qualifies for free domestic and international shipping when purchased alone. 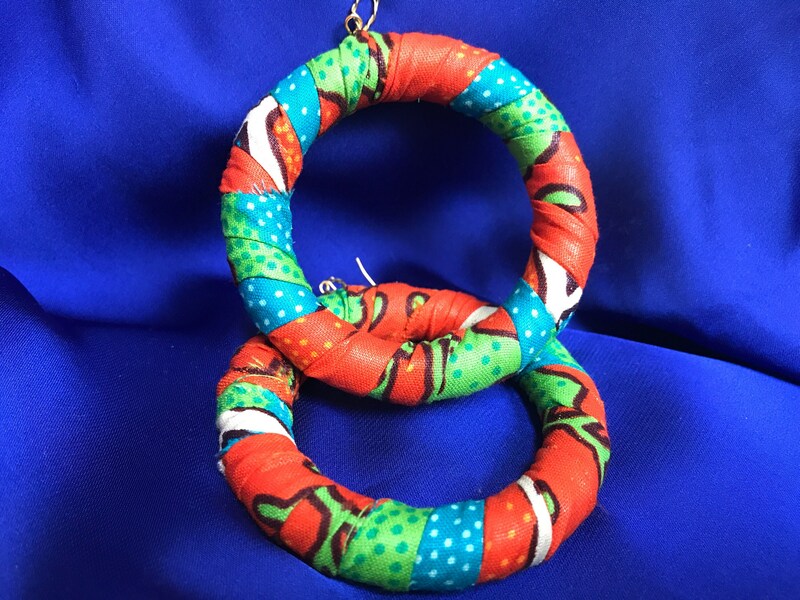 All our clothing and accessories directly help and support local communities in West Africa. We source every single bit of fabric out there and all our clothing is produced there too. Our Jewellery is produced here in the UK by me.